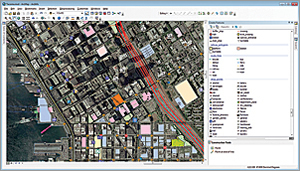 Use aerial photography or satellite imagery, available through ArcGIS Online, to digitize features such as roads, buildings, or parcels using ArcMap editing tools. Store the features created in a local geodatabase or publish them as a feature layer that can be shared. The rich imagery offerings available with your ArcGIS Online subscription can be used for digitization and, in some cases, analysis as well as visualization. 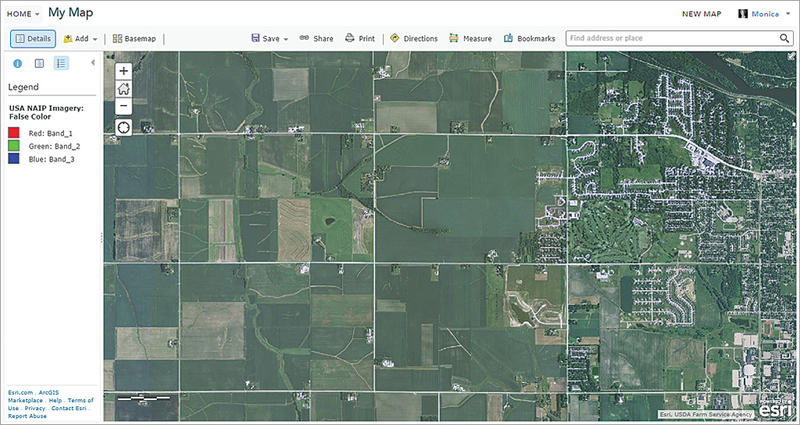 ArcGIS users are entitled to use image layers for digitizing data. Interactive digitizing is one of the most common methods for creating and editing data. 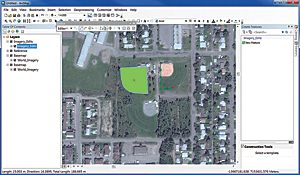 With this method, ArcGIS users can display an aerial photograph or satellite image on-screen as a basemap and then draw features, such as roads, buildings, or parcels, on top of it using editing tools. The resultant features can be stored in a local geodatabase or published as a feature layer to share with other users. The image layers can be used to digitize data for your local geodatabase or enhance your contributions to Esri Community Maps. The World Imagery basemap, available to all GIS users on ArcGIS Online, provides 1 meter (m) or better satellite and aerial imagery in many parts of the world and 15 m or 2.5 m worldwide. It is compiled from a variety of best-available commercial and community sources. The multiband, high-resolution (1 m) aerial imagery for the continental United States can be used for analysis. Use the ArcGIS Editor for OpenStreetMap with ArcGIS Online imagery to contribute to OpenStreetMap. 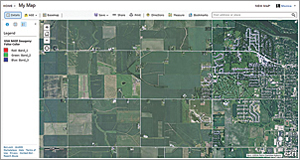 The USA NAIP image service, available to users with an ArcGIS Online subscription, features recent high-resolution (1 m) aerial imagery for the continental United States. NAIP is made available by the US Department of Agriculture Farm Service Agency and updated for several states each year. The multiband NAIP image service can be used for analysis. If you want to contribute to OpenStreetMap (OSM), an open and freely available database of geographic data, you can use ArcGIS Online image layers with the ArcGIS Editor for OpenStreetMap. This free, open-source add-on for ArcGIS for Desktop helps you participate in the growing OSM community. The ArcGIS Editor for OpenStreetMap makes it easy to download OSM data, make changes to the dataset, and contribute those changes back to the entire OSM community.